Each year, we partner with local shelters and organizations to give away Live Your Dream: Education & Training Awards for Women. This unique scholarship ranges from $1,000 - $15,000, providing monetary assistance to single moms, caretakers and survivors working to reach their education and career goals. 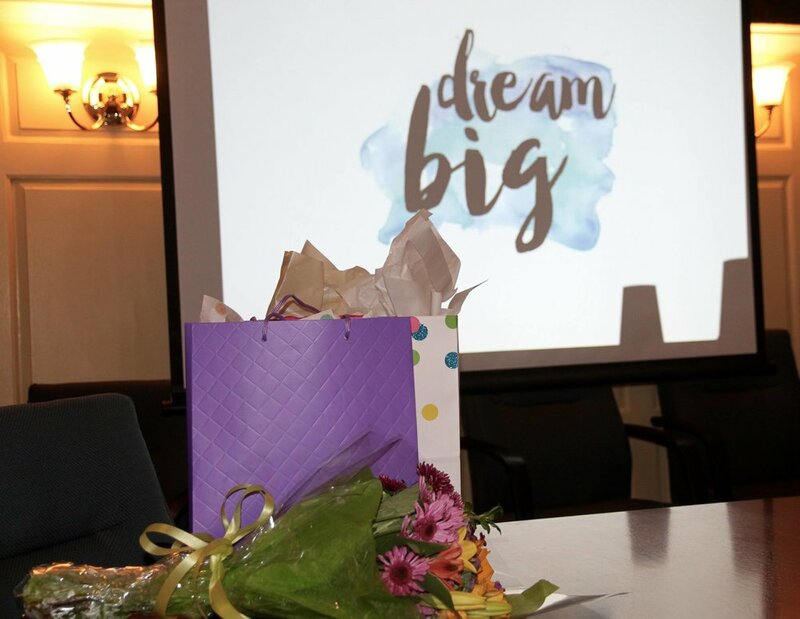 Dream It, Be It: Career Support for Girls is our new mentorship program for high schoolers! Our custom-designed curriculum helps girls identify their values, explore career options, set goals and overcome gender-based obstacles. Follow us on Facebook to catch the next Feminist Karaoke event! Local poets submit soulful work as part of this inspiring fundraiser. We meet once a month to talk progress, plan projects and share lots of laughs. 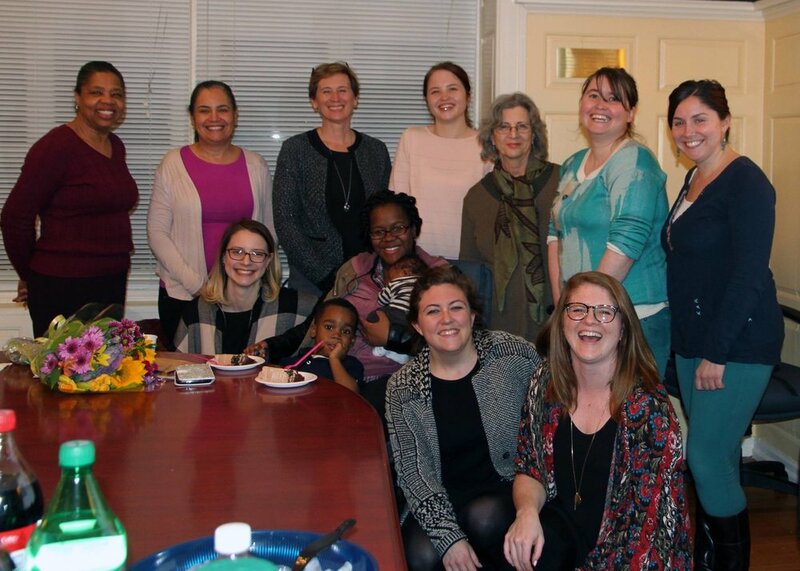 We wouldn't be able to give scholarships, lead workshops, provide in-kind laptops and school supplies OR help families in shelters without the kindness of our community funders–friends, family, neighbors, coworkers, and local business partners! Local poets and Soroptimist volunteers at reception for Brittany Noakes Poetry Award. Winner of the 2nd Annual Brittany Noakes Poetry Award. 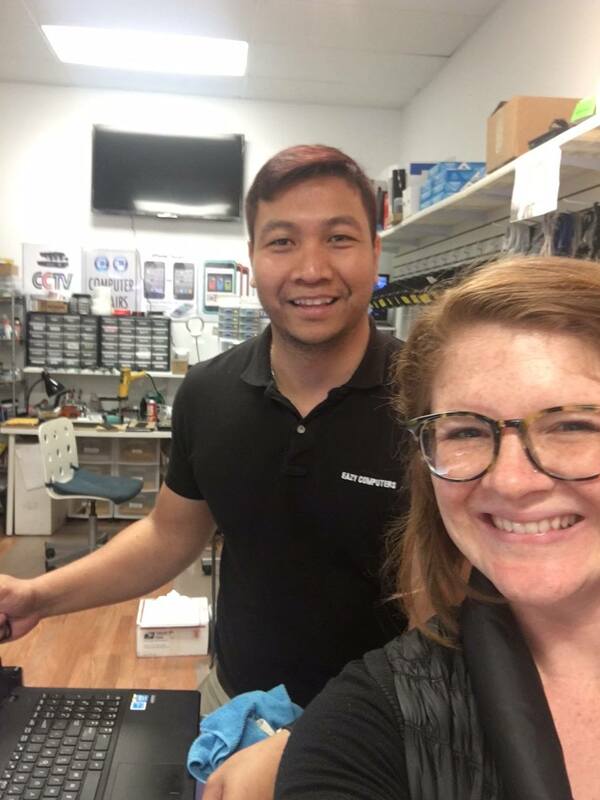 Shout out to Charlie of Eazy Computers & iPhone Repair - Rittenhouse Square for hooking us up with some tech for our Live Your Dream Awards recipient! Ta'ilah and her "new" laptop! Tyler and his first bike! Even our families help fundraise.